With the release of iOS 9, I decided to take a break from RSS. I had gotten to where I had stopped following the majority of major news sites, and stuck with smaller (and lower posting frequency) sites. Apple News is now my primary “catch up on the news” app. I have the sites that I consider must read bookmarked, and rely on the For You section. I’ve been quite happy with this setup so far. 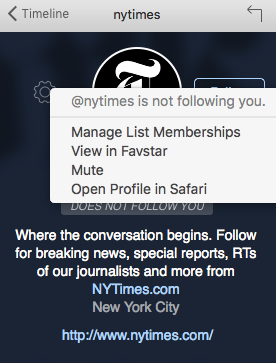 On the Mac, however, Apple News doesn’t exist (yet), so I wanted a way to keep up with the sites I follow. I’m at a Mac for 8+ hours a day, so an iOS news-only setup doesn’t work for me. 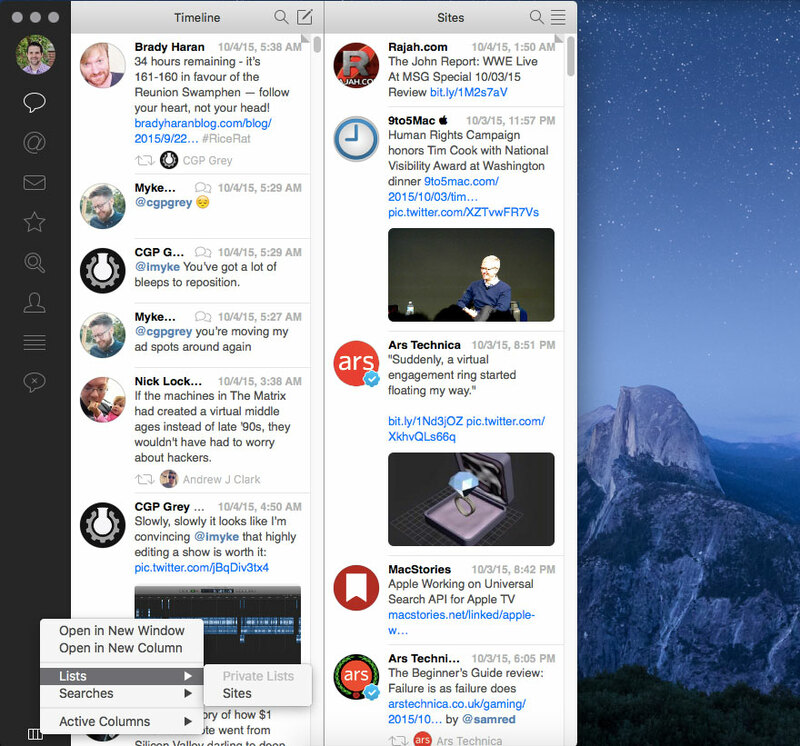 Tweebot, our favorite Mac Twitter client, has a great feature where you can “pin a list” next to your main timeline. To create a list, click the icon on the lower-left sidebar that looks like 4 lines on top of each other, and click Add List. 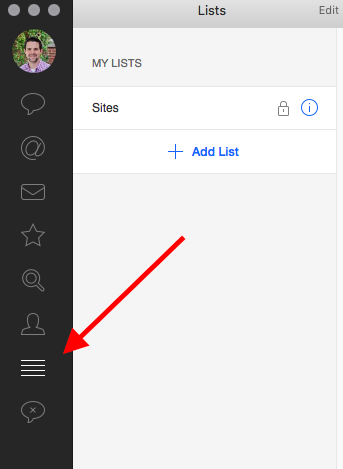 After the list is created, you can click the gear icon on any Twitter profile, and click Manage List Memberships to add it to a list (you don’t have to follow the account to have it on a list). Next, click the small icon on the bottom left, and choose your newly created list from the Lists submenu. This will put it right next to your main timeline. This feature will allow you to quickly scan through the sites you like to follow right from inside Tweetbot., which can be extremely helpful for keeping tabs on the outside world.